Choose from two great offers. 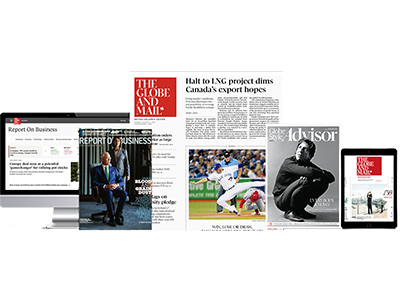 The Globe and Mail offers post-secondary students reduced subscription rates for The Globe and Mail newspaper and Globe Unlimited, the all-access digital pass to everything on globeandmail.com. To access this special pricing, students are required to become a yconic member. If you're already a yconic member, click here.